Karl Barth approaches this question not as an issue to be explored in and for itself, but as part of his discussion of Jesus Christ as the revelation of God. Specifically, his treatment comes in Church Dogmatics I/2, section 15.2 “The Mystery of Revelation: Very God and Very Man.” Barth’s exposition in this subsection is a meditation on John 1:14 “the Word became flesh,” and in this portion specifically (15.2.ii; pp. 147-159), Barth is considering what is meant when Scripture speaks of the divine word becoming flesh. That the Word was made “flesh” means first and generally that He became man, true and real man, participating in the same human essence and existence, the same human nature and form, the same historicity that we have. God’s revelation to us takes place in such a way that everything ascribable to man, his creaturely existence as an individually unique unity of body and soul in the time between birth and death, can now be predicated of God’s eternal Son as well (147). For Barth, the Johannine phrase means first and primarily that the Word became “participant in human nature and existence”; that is, in the humanitas by which humanity is distinguished as human as opposed to God, angel, or animal (149). Since, however, human “nature” cannot be real in an abstract sense but only in the concrete reality of an actual person, the Word became not simply “flesh” but an existing person, a single individual, the man Jesus Christ. “Thus the reality of Jesus Christ is that God Himself in person is actively present in the flesh. God Himself in person is the Subject of a real human being and acting” (151). But what the New Testament calls σάρξ [sarx, “flesh”] includes not only the concept of man in general but also, assuming and including the general concept, the narrower concept of the man who is liable to the judgment and verdict of God, who having become incapable of knowing and loving God must incur the wrath of God, whose existence has become one exposed to death because he has sinned against God. Flesh is the concrete form of human nature marked by Adam’s fall … The Word is not only the eternal Word of God but “flesh” as well, i.e., all that we are and exactly like us even in our opposition to him. It is because of this that He makes contact with us and is accessible for us (151). Here Barth argues at some length from both Scripture and the history of theology, that the Word became “fallen flesh,” that is, he partook of fallen human nature. “He was not a sinful man. 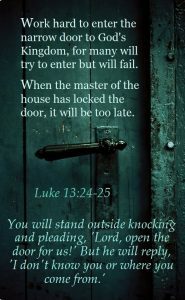 But inwardly and outwardly His situation was that of a sinful man. He did nothing that Adam did. But He lived life in the form it must take on the basis and assumption of Adam’s act” (152). This is precisely what Donald Macleod cannot and will not say. For Barth, though, this is a key distinguishing feature between Christianity and other religions both ancient and modern, which also include instances and concepts of incarnation. In Christian faith, God did not merely become human, and did not come as a hero figure—something found in the other religions, but took the nature identical to ours in the light of the Fall (153). But this is necessary not simply as an apologetic point. More important is the fact that if the Word has not come to us—actually come all the way to us—then we still reside in the darkness, untouched by the light which has come into the world and which, shining in the darkness, enlightens every person (John 1:5, 9), untouched by revelation and reconciliation. God’s Son has come all the way to us, not only assuming our nature but entering “the concrete form of our nature, under which we stand before God as men damned and lost” (153). Only thus can Christ be “like us” and so represent us before God. True, the Word assumes our human existence, assumes flesh, i.e., He exists in the state and position, amid the conditions, under the curse and punishment of sinful man. He exists in the place where we are, in all the remoteness not merely of the creature from the creator, but of the sinful creature from the Holy Creator. Otherwise His action would not be a revealing, a reconciling action. He would always be for us an alien word. He would not find us or touch us. For we live in that remoteness. . . . Therefore in our state and condition He does not do what underlies and produces that state and condition, or what we in that state and condition continually do. Our unholy human existence, assume and adopted by the Word of God, is a hallowed and therefore a sinless human existence; in our unholy human existence the eternal Word draws near to us . . . supremely and helpfully near to us (155-156). In the likeness of flesh (unholy flesh, marked by sin), there happens the unlike, the new and helpful thing, that sin is condemned by not being committed, by being omitted, by full obedience now being found in the very place where otherwise sin necessarily and irresistibly takes place. The meaning of the incarnation is that now in the flesh that is not done which all flesh does (156). Jesus Christ did not sin, and it was impossible actually that he could for, as we have already noted above, in Christ “God Himself in person is the Subject of a real human being and acting” (151). God is the subject of this genuinely human life, something Barth will go on to explore and exposit in the following paragraphs. Finally, Barth goes as far as to identify what constitutes Jesus’ sinlessness: standing where we stand in the state and position of fallen humanity Jesus bears the divine wrath which must fall upon sinful humanity. He judged sin in the flesh by recognising the order of reconciliation, i.e., put in a sinner’s position He bowed to the divine verdict and commended Himself solely to the grace of God. That is His hallowing, His obedience, His sinlessness. Thus it does not consist in an ethical heroism, but precisely in a renunciation of any heroism, including the ethical. He is sinless not in spite of, but just because of His being the friend of publicans and sinners and His dying between the malefactors. . . . This is the revelation of God in Christ. For where man admits his lost state and lives entirely by God’s mercy—which no man did, but only the God-Man Jesus Christ has done—God Himself is manifest (157-158). Several things are clear in Barth’s exposition. First, he adopts an Alexandrian christology in which the Word assumes human nature, though he goes beyond what the Fathers taught by insisting that it is a fallen human nature. 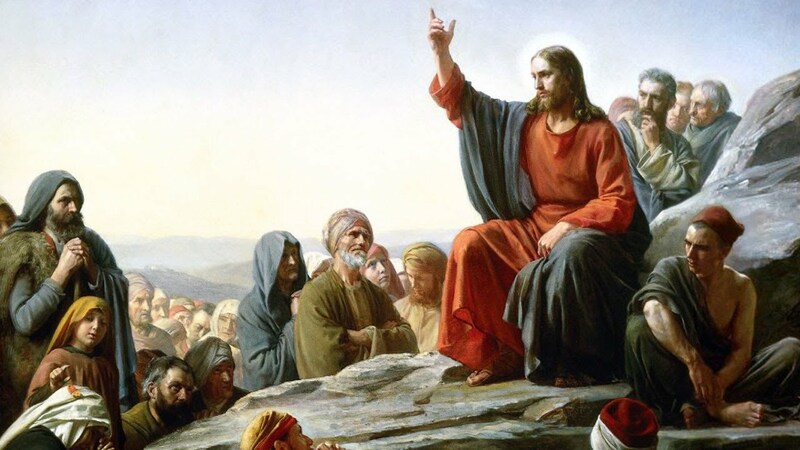 Second, he understands Jesus’ sinlessness as the New Testament portrays it: the fact that Jesus did not sin, rather than in terms of an ontological sinlessness located in sinless flesh. Third, his exposition is shaped by his commitment to the priority of divine grace in salvation, and indeed his exposition serves the proclamation of the gospel of grace, for there is no place here for a Pelagian moral heroism, or for works-righteousness. Rather, the way of Christ as presented by Barth, is the way of salvation for all: a humbling acknowledgement and acceptance of the right of divine justice by which we are condemned as sinners—slain by the word of divine judgement, and yet marvellously and miraculously raised by the mercy of God into the newness of life. Jesus did not run from the state and situation of fallen humanity, nor seek to bargain with God about the justice or otherwise of his situation, nor sought to improve his situation through his own attempts at moral goodness, but bowed under the divine judgement, and bore it “in solidarity with us to the uttermost,” so that there was done which we do not do: the will of God” (158). Hannah’s song provides the theological introduction and orientation to the books of Samuel as a whole, just as David’s song provides a similar perspective as the work ends (2 Samuel 22). These bookends suggest the work of the final editors of this collection. Scholars suggest that the provenance of the psalm is from a later period, especially given the references to the king and the Lord’s anointed in verse ten which do not quite fit the pre-monarchical period. Perhaps it was included here because of the contrast of the barren and fruitful women in verse five which links the psalm to the story so far. It is not impossible, however, that the psalm originated with Hannah. Miriam in Exodus 15 and Deborah in Judges 5 are also portrayed as women psalmists who celebrate and reflect theologically on God’s works in song. Whatever its origin, “the fact remains,” says Evans, “that the privilege of providing the main theological introduction to the whole account of the history of the Israelite monarchy is given to Hannah. That fact is probably not irrelevant” (30). Hannah did not abdicate her responsibility for theological reflection, and did not leave it up to the experts (i.e. Eli)—which perhaps was just as well. The story which follows includes many tales of the human quest for power, often with immense brutality, intrigues, and murder. The psalm insists that God is the only true sovereign, one who elects and disposes, who chooses and rejects, who upends and overturns human standards and expectations, and who will ultimately subject all human activity to judgement. 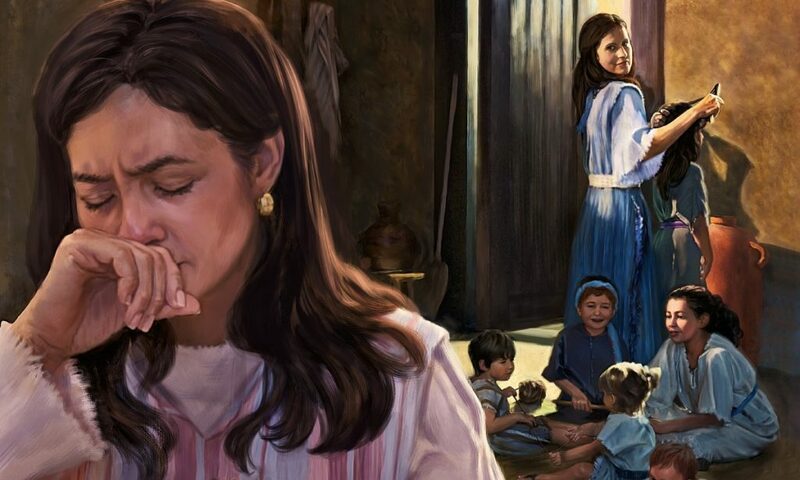 Hannah’s song, coming from one who although somewhat wealthy, was poor and powerless in other ways, resonates with hope that God’s judgement will prevail, and that human arrogance and abuse of power will be brought to an end. The psalm begins with her own exaltation and rejoicing, but quickly shifts to a meditation on the character and works of the God who has heard and answered her prayer. God alone is holy; there is none beside him (v.2). This is a full-throated rejection of religious syncretism in an environment where Israel continued to worship not only Yahweh but put their trust in the fertility gods as well. Yet only Yahweh is a rock providing security and salvation. He is the creator who set the world on its pillars (v.8; note the ancient cosmology), and he continues to rule his world with sovereign authority. The major part of the psalm is a warning to the powerful and arrogant (v.3a): God will defend his “faithful ones” and “cut off” the wicked (v.9), he will “judge the ends of the world” (v.10). Human power will not prevail against the sovereign authority of Yahweh. The salvation that Yahweh brings is portrayed in images of historical rather than eschatological reversal. Thus, the weapons of the mighty are broken while the feeble are strengthened; the sated go hungry as the hungry are filled; the barren give birth while the mother of many is left forlorn. The agent of these reversals is the Lord. Historical developments are not accidental but subject to his providential control. Yahweh kills and brings to life; he brings down to Sheol and raises up. Yahweh makes poor and makes rich; he brings low, he also exalts. The idea that Yahweh kills and makes alive is frightening, predicating a sovereignty to Yahweh we wish to deny. Yet it is precisely this activity that is highlighted in the following narrative which speaks of Yahweh’s intent to kill Eli’s sons in divine judgement for their wickedness (vv. 25, 34). The question of divine violence is one we shall encounter again in this study of Samuel. Here, the psalmist operates with a sense of comprehensive divine sovereignty. Nor is the exercise of this sovereignty arbitrary. It is the high and mighty, the rich and powerful who are brought low and made poor, while it is the poor and humble, feeble and barren who are exalted and made rich. These acts of divine reversal reveal the way of Yahweh, and his divine care for those on the underside of human power and greed. As such, the song provides the framework by which the rest of the ensuing narrative (and its characters) must be understood. 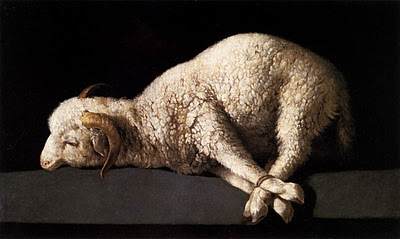 Whom God put forward as a sacrifice of atonement by his blood, effective through faith. He did this to show his righteousness, because in his divine forbearance he had passed over the sins previously committed (NRSV). Whom God displayed publicly as a propitiation in His blood through faith. This was to demonstrate His righteousness, because in the forbearance of God He passed over the sins previously committed (NASB). In his widely-acclaimed commentary on Romans, C. E. B. Cranfield supports the traditional interpretation of this verse which understands Christ’s sacrifice on the cross in terms of a propitiation that averts the divine wrath which would otherwise have been directed against humanity on account of their sin. Cranfield begins his exposition of this verse by arguing against the interpretation of the opening phrase of the verse in the two translations cited above. The key phrase is ὃν προέθετο ὁ θεός (hov proetheto ho theos, “Whom God displayed publicly”). Cranfield argues that the verb προέθετο (proetheto) as used in the New Testament can mean either (a) propose to oneself and so to purpose, or (b) to set forth publicly or display. It is clear that the two translations opt for the second of these options whereas Cranfield argues, “There is, in our view, little doubt that ‘purposed’ should be preferred to ‘set forth publicly’” (Cranfield, Romans Vol. 1, I-VIII, International Critical Commentary, 209). It makes better theological sense, suggests Cranfield, to understand Paul’s concern in terms of God’s eternal purpose than as a reference to the Cross as something accomplished in the sight of humanity. Paul means to emphasize that it is God who is the origin of the redemption which was accomplished in Christ Jesus and also that this redemption has its origin not in some sudden new idea or impulse on God’s part but in His eternal purpose of grace (210). The second important term in this verse is the word ἱλαστήριον (hilastērion), translated in the NRSV as “sacrifice of atonement” (in a footnote a further option is given: “place of atonement”), and in the NASB as “propitiation.” In the Septuagint (the ancient Greek version of the Old Testament), this word refers twenty-one times to the mercy-seat, that is, the place where the high priest sprinkled the blood of the sin offering on the day of atonement (see Leviticus 16). As such, it is quite possible that Paul is referring to Jesus Christ here, as the place where God effected his saving work. Cranfield, however, demurs. Following Leon Morris, he notes that in the Septuagint references, the noun in all but one case appears with the article when referring to the mercy-seat, whereas in this text it is anarthrous. 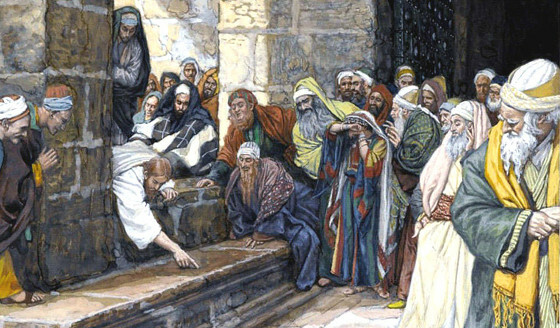 Further, given Paul’s understanding of the intensely personal and costly nature of Jesus’ sacrifice, Cranfield considers it unlikely that Paul would liken Jesus to a piece of furniture in the temple. Rather, the mercy-seat would more appropriately be a type of the Cross itself, than of Jesus Christ (215). Cranfield, therefore, opts for the term ‘propitiation,’ or more precisely, “a propitiatory sacrifice” (216-217). Indeed, the evidence suggests that the idea of the averting of wrath is basic to this word-group in the OT no less than in extra-biblical Greek, the distinctiveness of the OT usage being its recognition that God’s wrath, unlike all human wrath, is perfectly righteous, and therefore free from every trace of irrationality, caprice and vindictiveness, and secondly that in the process of averting this righteous wrath from man it is God Himself who takes the initiative (216). Further, the decisive factor for Cranfield is that this hilastērion occurs “in his blood” (en tō autou haimati), which indicates that a propitiatory sacrifice is intended. The purpose of Christ’s being ἱλαστήριον was to achieve a divine forgiveness, which is worthy of God, consonant with his righteousness, in that it does not insult God’s creature man by any suggestion that that is after all of small consequence, which he himself at his most human knows full well (witness, for example, the Greek tragedians) is desperately serious, but, so far from condoning man’s evil, is, since it involves nothing less than God’s bearing the intolerable burden of that evil Himself in the person of His own dear Son, the disclosure of the fullness of God’s hatred of man’s evil at the same time as it is its real and complete forgiveness (214). 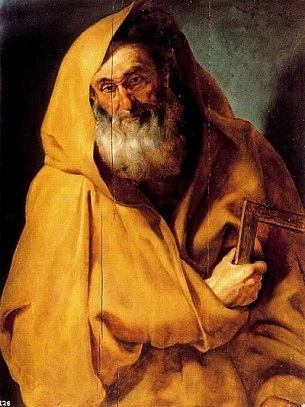 We take it that what Paul’s statement that God purposed Christ as a propitiatory victim means is that God, because in His mercy He willed to forgive sinful men and, being truly merciful, willed to forgive them righteously, that is, without in any way condoning their sin, purposed to direct against His own very Self in the person of His Son the full weight of that righteous wrath which they deserved (217). In his treatment of this text Cranfield hits exactly the right notes. He acknowledges the reality of divine wrath as the overarching backdrop against which the saving work of Christ occurs. He insists that God’s wrath is righteous, and as such is entirely different to human wrath. That this wrath is occasioned by human wickedness indicates the seriousness with which God views this wickedness, displays the righteousness of God’s character in his response to sin, and affirms the genuine significance of human value, decision and act. Most importantly, he shows that God’s eternal purpose toward humanity was and is mercy, not wrath, and that God has determined to direct against himself—in the person of his Son—the wrath occasioned by human sin, in order to be merciful toward humanity and righteous in his mercy. This opens up a crucial window of understanding with respect to this verse and the atonement in general: it must be understood in trinitarian terms. Finally, and with an eye on the topic I am exploring in this short series of posts, Cranfield is correct to insist that this hilastērion is “in his blood.” “It was by means of the shedding of His blood that, according to the divine purpose, Christ was to be ἱλαστήριον. … A sacrificial significance attaches to the use of the word αἷμα [‘blood’]. … There is little doubt that this is so in the verse under consideration” (210-211). The “blood of his cross” was the sacrificial means by which God has shown mercy to us while maintaining his unimpeachable righteousness.